When you buy router bits for your wood cutting business, you know you need ones that are high-quality, built to last, and as accurate and precise as possible—and that means carbide-tipped router bits. At Byler Industrial Tool, we’re proud to offer sharpening services that keep carbide-tipped router bits running at their best. 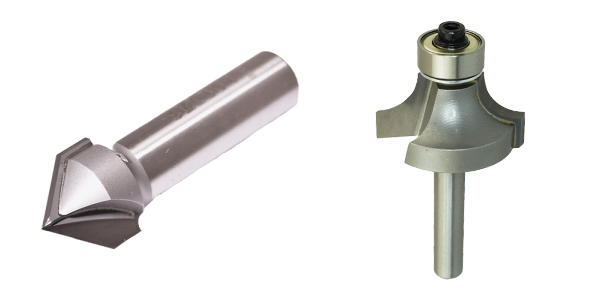 Carbide-tipped router bits are among the most elite and sought-after router bits in the woodworking industry. You can’t afford to have imprecise cuts or router bits that quickly become dull and need to be replaced. Uptime is key for the turnaround time for your projects and orders, and in turn, keeping your clients happy. With carbide-tipped router bits, you have one less thing to worry about in your woodworking shop. That means you have more time to keep everything running smoothly while your cutting tools work as intended. What Are Carbide-Tipped Router Bits Used For? These router tips are also ideal for serious DIYers and hobbyists who demand durability and accuracy in their cuts and tooling. 1. We offer 100-percent performance guarantees – Our products are guaranteed to give you the performance you’re looking for. We thoroughly test all of our products to make sure they meet our specifications and the demands of our customers, and we only see items that we know meet the high standards of professional and high-volume woodworkers and shop owners. 2. We offer free shop audits and cost-savings analyses – Our team isn’t just highly trained and experienced in the world of sales—we also know the woodworking business inside and out. We offer our customers a chance to have their shops audited for free to help them discover ways that they can save money and make their workflows more productive and efficient. We use state-of-the-art technology and processes to sharpen a variety of saw blades, router bits, custom moulder knives, PCD tooling, and more. Call us today at (615) 763-6227 or complete our online form to place an order or schedule a sharpening with our team.